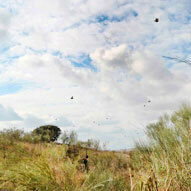 MONTERIA Hunting in Spain. +- 250 Animals 2 days of hunt. Top Quality. 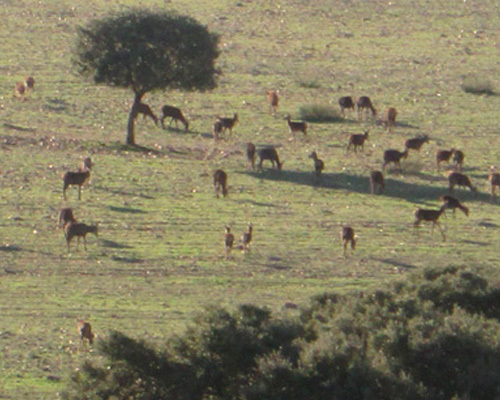 The Spanish Driven Hunt named “Monteria” in a private or public hunting area only 1 day per season, in an area of nearly 500 hectares, with more or less 400 dogs for an average of 25/30 hunters. 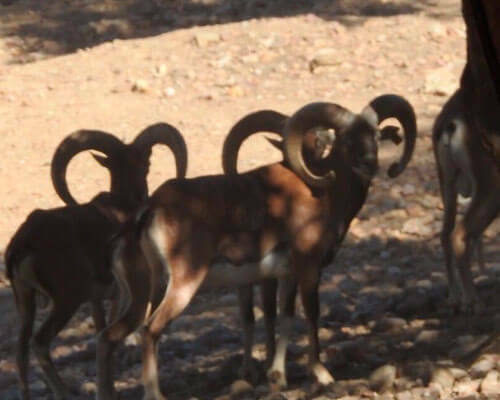 This traditional hunt takes place normally 2 days or can be organized on 3 days for a whole group in different hunting ground close to each other. 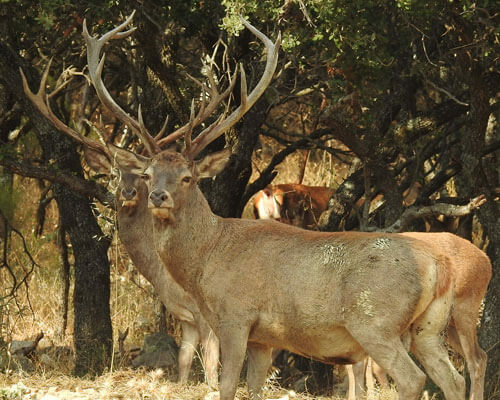 Driven hunt monteria can be organized only to shoot one specie or a mixt of animals: Red Stags, Hinds, Fallow Deer, Mouflons and Wid Boars. If you are interested in a Monteria, you have to make sure to book it directly with the people who are organizing it, in order to have all the details. 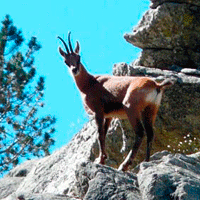 The organization of this hunt has to be done with rigor and professionalism. 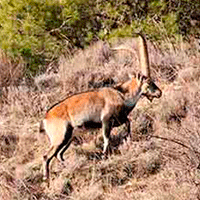 At ”Spanish Hunting Adventure” we are specialized in organizing Spanish Driven Hunt Monteria since several years. This profession requires many technical, creative and commercial skills. 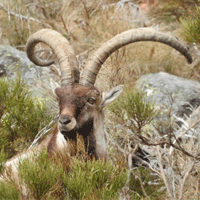 Our commitment begins with a rigorous selection of hunting states and partners of services. Thanks to many years of experience and an excellent network of contacts, we carefully select the hunting estates, hotels restaurants and other services to offer you the perfect quality hunting and service. We accompany you at all time during your trip, since your arrival at the airport, giving you our support with the Gun Clearance and celebrate with you the success of your hunt. 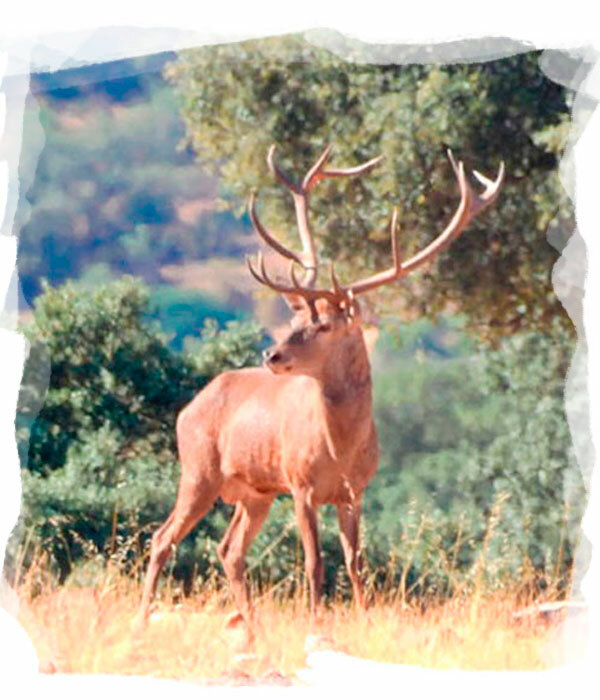 In order to make the right decision, to choose the right organizer, and finaly to have a Successful Spanish Driven Hunt Monteria, you have to know several points that we explain in this Free Guide. 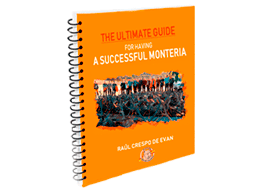 The Ultimate Guide to have a Successful Monteria. Your satisfaction is the success of any organizer engaged. If you want to know more about us, and what we can do for you, please click here. 2 Days hunting. Parade expectation: 230/250 Animals. 3 nights ful board accomodation in Hotel Parador National de Oropesa **** in Single Room. Hunting License + Taxes + Transfer from the Aiport to the Hotel and Hunting Ground + Weapon Clearance Formalities at the airport. Mandatory Staff Fee: 50€ per hunter per day. Companion extra in Double Room: 500€. Rifle renting: 200€ + ammo. Extra bar at the Hotel. Taxidermist works and freights. 2 Days hunting. Parade: +- 230 Animals. 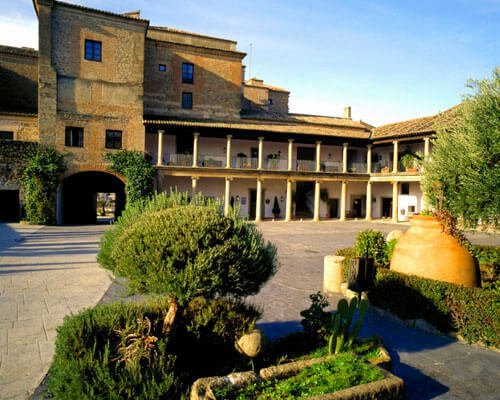 3 nights full board accomodation in Hotel Parador Nacional de Oropesa **** in Single Room. 2 days of hunting. Driven hunt monteria with an estimation of +- 220 animals in 2 days, with 28 guns. 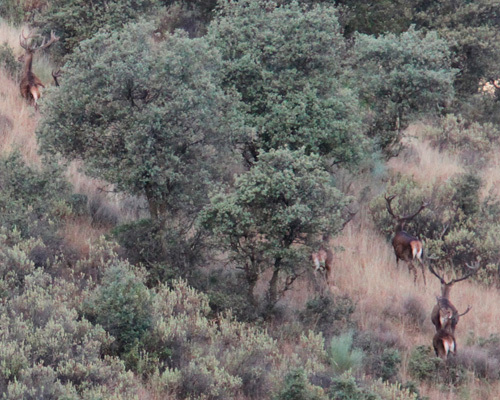 1st day: 2 big stags + 4 hinds. Estate located at 50 minutes from Toledo. 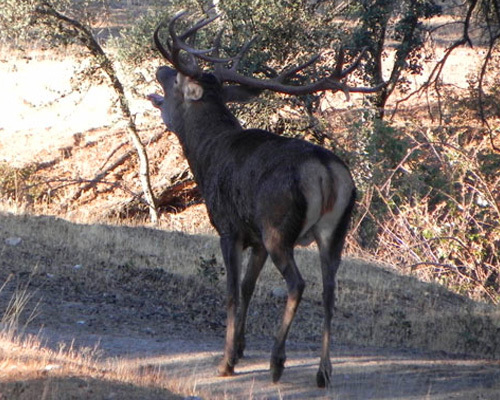 2sd day: 2 stags + free shooting in hinds, wild boars and does. Estate located at 50 minutes from Toledo. 3 nights ful board accomodation in Hotel Toledo City **** in Double Room. Single Room 80€ per night per Hunter. Mandatory Staff Fee: 50€ per hunter per day. Companion extra in Double Room: 500€. Rifle renting: 200€ + ammo. Extra bar at the Hotel. Taxidermist works and freights. 2 days of hunting. 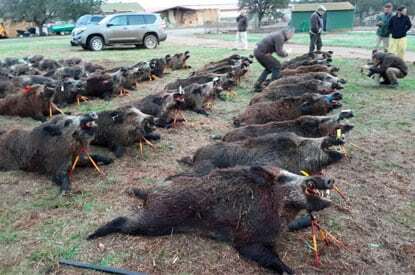 Driven hunt monteria to make more than 350 animals in 2 days, with 26 guns. Estimation of 80 Red Stags 30% Good quality, 15% Medal trophies, 280 Hinds, a few does and fallow deers. 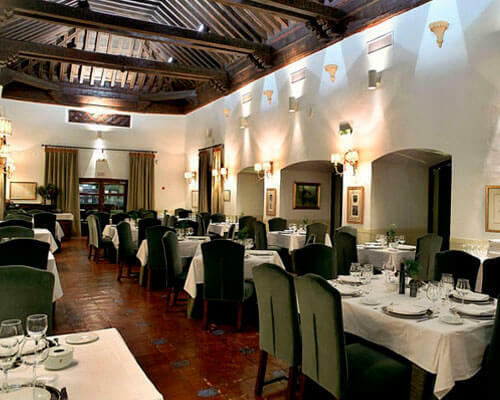 3 nights full board accomodation in Hotel Parador Nacional de Oropesa **** in Double Room. We are working on our Program of Monteria for season 2019 – 2020. If you are a group of hunters, have any request and you want us to organized for you a Driven Hunt Monteria, please feel free to contact us, we can customize your hunt. 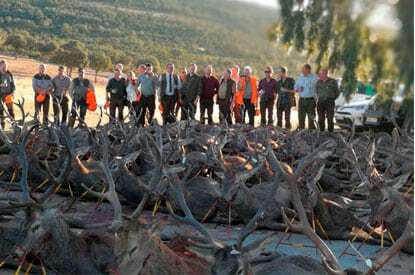 Each year hundreds of hunters come to Spain to enjoy the Spanish Driven Hunting Monteria, most of them are coming from Denmark, Sweden, Finland, France. You are in direct contact with your organizer who will give you all the details you need to have for having a successful hunt. You can communicate directly to us, your wishes and preferences and we will try to adapt to your wishes whenever the situation allows it. 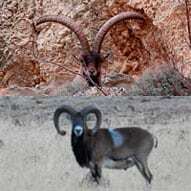 You book your hunt directly to us, the organizer of the hunt. We are in direct contact with the owner of the private estate where we go hunting. There is no intermediary between the owner and us. 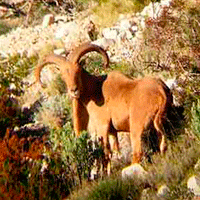 You can have the peace of mind of having an enjoyable hunt, as all is under control by our organization. * Experienced in Mountain Stalking Hunt since more than 25 years. Do you want to know more about what we can do for you? A cutting edge eBook of 29 pages, including VIDEOS, with essentials TIPS that will allow you to make the right decision and have a Successful Driven Hunt Monteria. A must have of any hunter ! 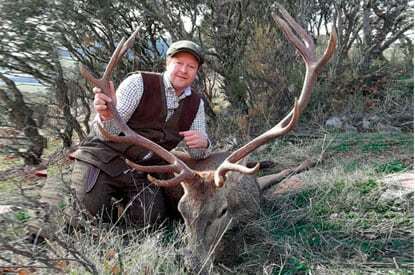 My friend Jørgen and I, both with wives had booked a trip after Gredos ibes Spanish Hunting Adventures with the owner Raul. The termin was late march 2019. The booking and the telephone conversation was great, because Raul speak very good English. 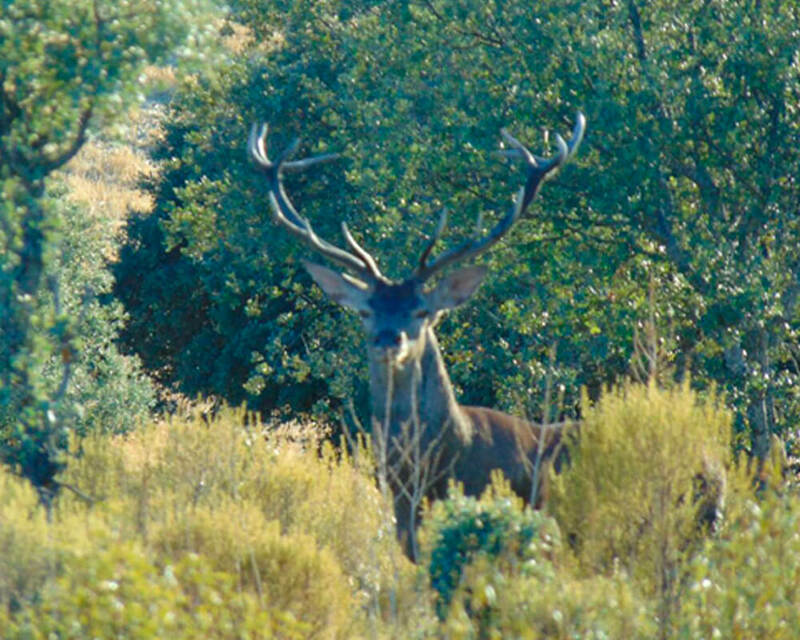 We both shoot a very nice Gredos, one silver and one bronze medal, and the hunting was just perfect in a very nice area in Gredos mountain. All the things that Raul had promised us in advance were fulfilled to our full satisfaction. 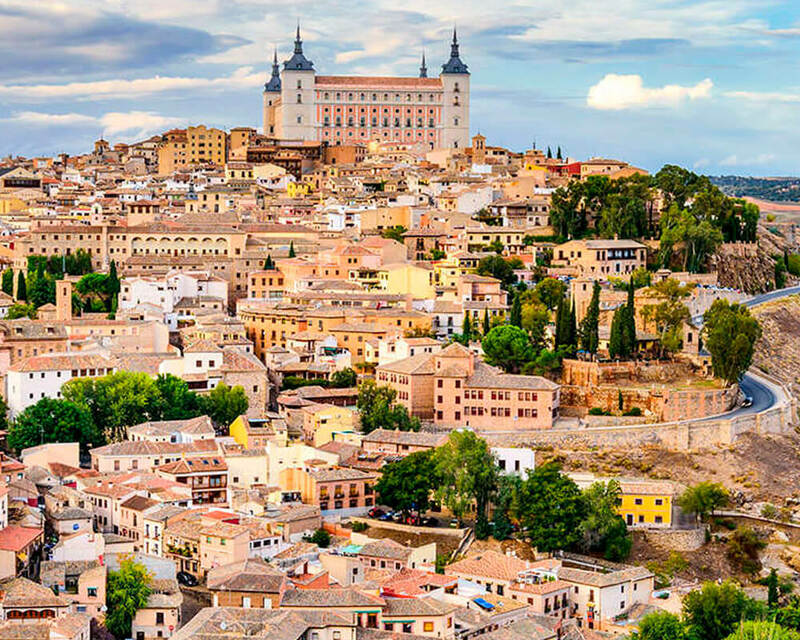 There were no hidden fees or other unpleasant surprises, everything was planned for the smallest detail, including lovely lunch on the mountain, with everything a Spanish lunch offers. it was a very successful trip and our desire to bring our wives during the hunt also succeeded to our full satisfaction. Thanks to Raul for a successful event. "I just wanted to say thanks, one more time, for a very well organized trip. Everything was super and I'm really looking forward, to come back in November." 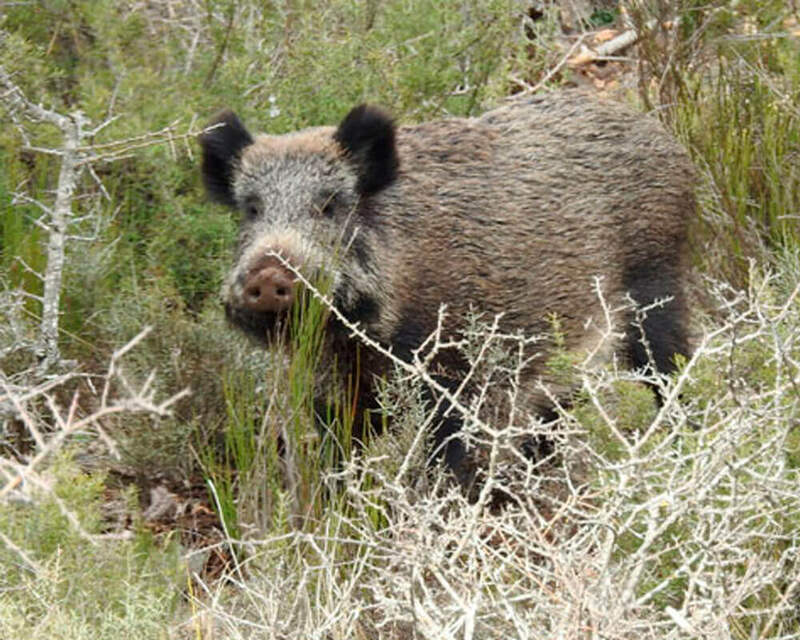 "This gredos will remain a wonderful memory for me, really great hunting, even if I come back to make another, this will remain unique in my heart. And that was only possible by the professional competence of Raúl. Thank you." "I met Vanessa and Raul a long time ago. For years I have participated in their monterias every year, always being very nice and successful." 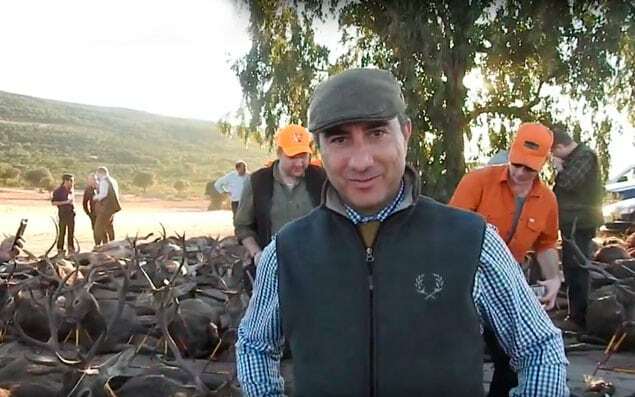 "I have hunted on Monterias with SPANISH HUNTING ADVENTURE for two times, as well in February 2017 as in February 2018. I can confirm as follows: Organisation of all days was exceptional. Hunting in 2017 was heavily influenced by bad weather conditions. Keeping this in mind the results of both days were very acceptable. Hunting in 2018 was extraordinary with an exceptional amount of game. So the result of our hunting 2018 exceeded my expectation by far."